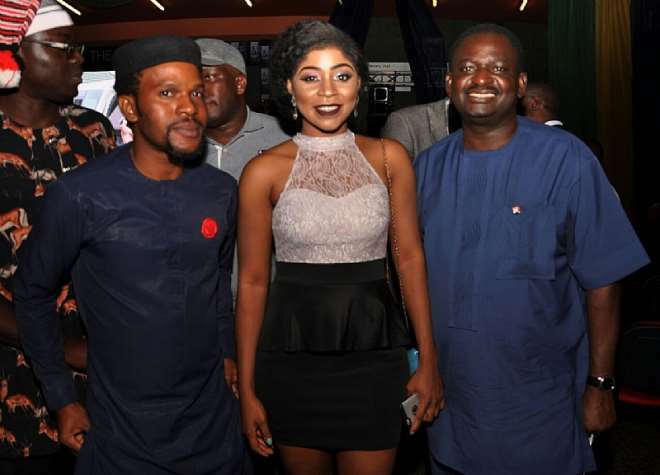 Queen Nneze Richards, Miss Independence Nigeria Dazzles At Movie Premiere, To Meet The Presidency! The high profile event had dignified noble specimen of humanity and high and mighty in the corridor of power, which includes the Inspector general of Police, Solomon Arase, the spokesman of Mr President, Femi Adesina, Dokpesi Jnr. Chief of Defence staff, Segun Arinze, Desmond Elliot, Korede Bello, Empress Njamah, Sharon Nnaji, Alexreports and others. The pretty Queen Nneze Richards ‎would be a guest at the presidency with her Publicist on Wednesday as she tends to discuss on the interest Nigerian pageant industry and other sundry issues. The very humble beauty who was among the judges at the final audition of Most Beautiful Model in Nigeria also endorsed the movie - Beyond Sight. Queen Nneze Richards ‎who is a graduate of Accountancy from Enugu state University of Science and Technology just wrote an exam to become a Chartered Accountant from Nigerian College of Accountancy - Jos, Plateau state.